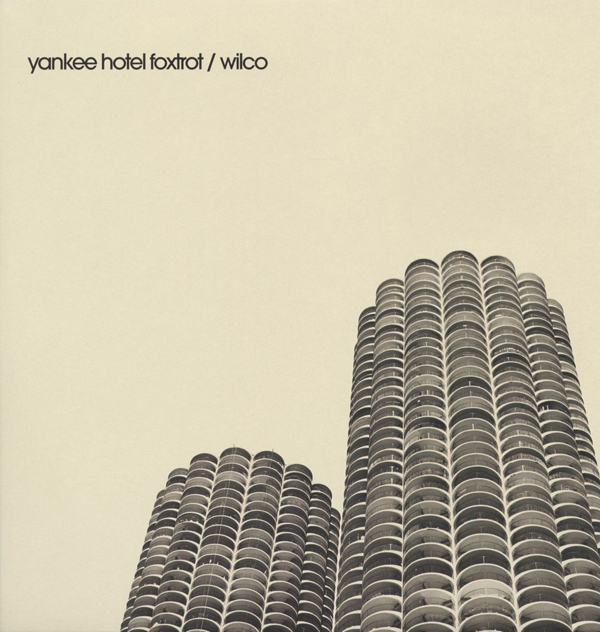 After lots of drama, Wilco finally released their ground-breaking fourth album Yankee Hotel Foxtrot on April 23, 2002. 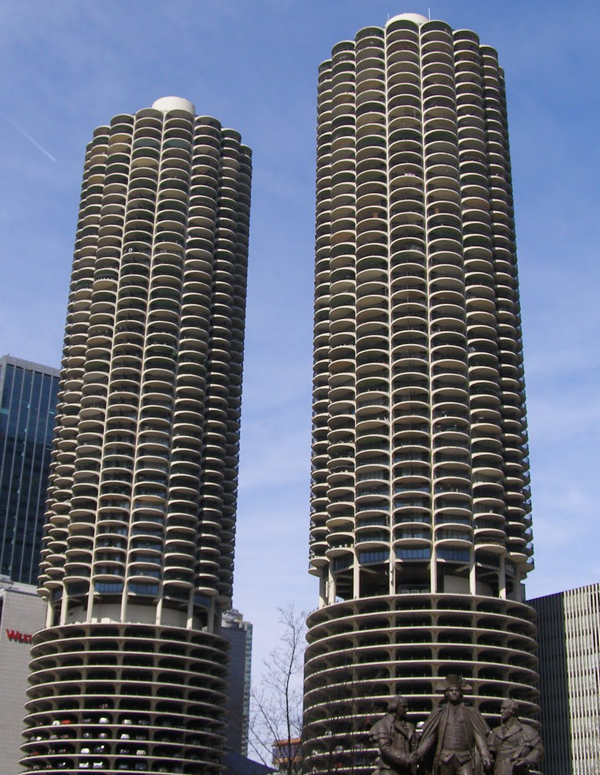 The cover photo used for the Yankee Hotel Foxtrot album is a picture of The Marina Towers in Marina City, a mixed-use residential/commercial building complex occupying an entire city block on State Street in Wilco’s adopted hometown of Chicago, Illinois. 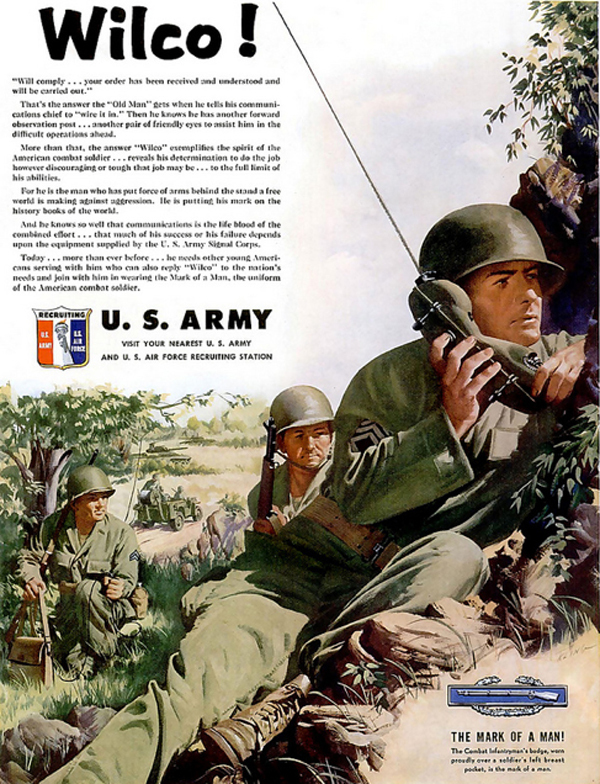 Wilco named itself “Wilco” after the military and commercial aviation radio voice acronym (voice procedure) for “Will Comply”. Yankee Hotel Foxtrot was named after a series of letters in the Phonetic Alphabet that Jeff Tweedy had heard on the Irdial box set “The Conet Project: Recordings of Shortwave Numbers Stations.” On the fourth track of The Conet Project album, “Phonetic Alphabet – Nato”, a woman repeats the words “Yankee Hotel Foxtrot” numerous times; a clip from this song was placed in the song “Poor Places“. Irdial sued Wilco for copyright infringement, and a settlement was reached out of court. If you get a chance be sure to find and download the “Yankee Hotel Foxtrot Demos Bootleg“, it really is as good as the album..